Chocolate coated almonds just got better. 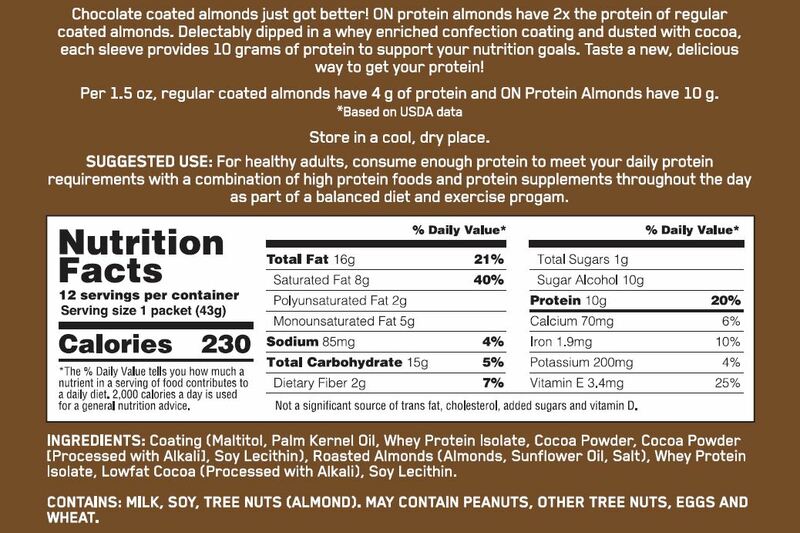 With twice the protein of regular coated almonds, ON Protein Almonds provide 10 grams of protein in a whey enriched confection coating dusted with cocoa. These delectably dipped almonds in 3 tempting flavors will have you coming back for more. 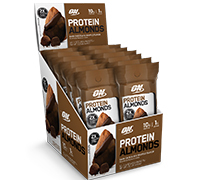 Directions For Protein Almonds: For healthy adults, consume enough protein to meet your daily protein requirements with a combination of high protein foods and protein supplements throughout the day as part of a balanced diet and exercise program. Warnings: Store in a cool, dry place. © 2018 Supplements Canada.com All Rights Reserved.